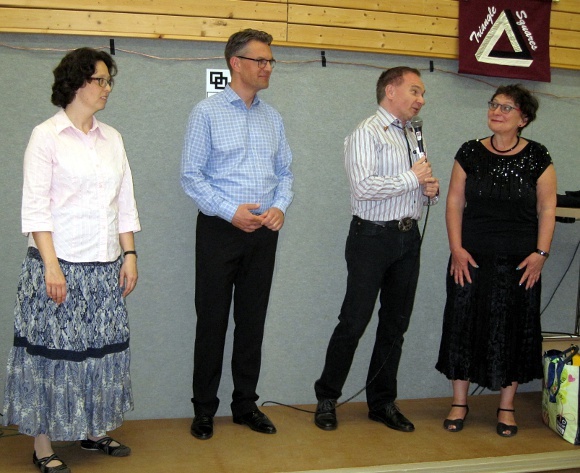 We are an Advanced and Challenge Square Dance club, based in Solingen, Germany, and we are very active. We regularly dance all programs from A1 to C2. Our regular club nights are held on two evenings during the week in Solingen or Reusrath. In addition, we host up to five annual weekend special dances at program levels A1 to C2, all in Siegen, Germany. If you would like to dance with us, but do not dance our dance programs yet, just ask about our classes, which we run if there are enough participants. You can find all news here, especially current information about changes of the regular time schedule.